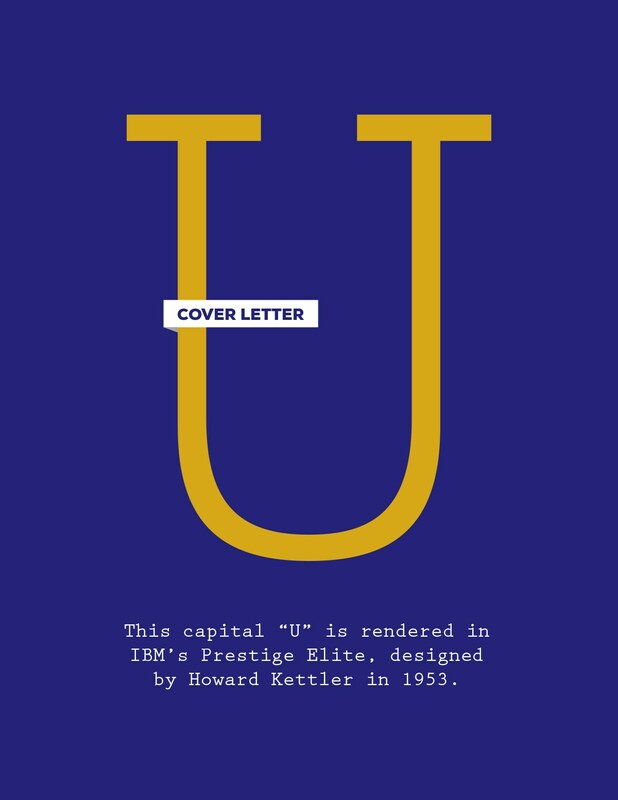 Week twenty-one, and the arrival of the letter U, the vowel most famous for being used as an abbreviation for universities everywhere. For the curious, this weeks color palette reflects the University of Washington, which I did not attend. My brother, however, is an adjunct professor of tax law there, so this one is for him. Also, go Dawgs (in whatever college sport is currently being played, if any). A PDF version of this week’s letter can be found here. View previous cover letters here.